The ICRC is part of the International Red Cross and Red Crescent Movement along with the International Federation and 189 National Societies. It is the oldest and most honoured organization within the Movement and one of the most widely recognized organizations in the world, having won three Nobel Peace Prizes in 1917, 1944, and 1963. Since its creation in 1863, the ICRC’s sole objective has been to ensure protection and assistance for victims of armed conflict and strife. It does so through its direct action around the world, as well as by encouraging the development of international humanitarian law (IHL) and promoting respect for it by governments and all weapon bearers. Its story is about the development of humanitarian action, the Geneva Conventions and the Red Cross and Red Crescent Movement. The International Committee of the Red Cross met for the first time in February 1863 in Geneva, Switzerland. Among its five members was a local man named Henry Dunant who, the year before, had published a crusading book (A Souvenir of Solferino) calling for improved care for wounded soldiers in wartime. Central Adoption Resource Authority (CARA) is an autonomous body under the Ministry of Women & Child Development, Government of India. It functions as the nodal body for adoption of Indian children and is mandated to monitor and regulate in-country and inter-country adoptions. CARA is designated as the Central Authority to deal with inter-country adoptions in accordance with the provisions of the Hague Convention on Inter-country Adoption, 1993, ratified by Government of India in 2003. CARA primarily deals with adoption of orphan, abandoned and surrendered children through its associated /recognised adoption agencies. 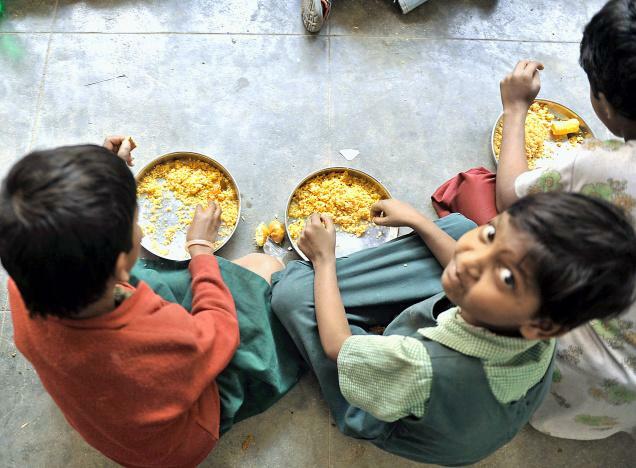 The purpose of CARA is to ensure that every orphan, destitute and surrendered child has a loving and caring family. “Adoption” means the process through which the adopted child is permanently separated from his biological parents and becomes the legitimate child of his adoptive parents with all the rights, privileges and responsibilities that are attached to the relationship. Adoption of orphan, abandoned and surrendered children in India is governed by a set of guidelines notified by Government of India. Form-6: For Inclusion of name in electoral roll or transfer of name to another constituency. Form-6A: For Inclusion of names for overseas electors. Form-7: For Objection on inclusion of names or for deletion of names. Form-8: For Correction of entries in the electoral rolls. Form-8A: For Transposition of entry in electoral roll within the same assembly constituency. Form-19: For Inclusion of names for teacher's constituency. Form-18: For Inclusion of names for graduate's constituency. Form-001A: For EPIC at the time of voter registration. Form-001C: For EPIC by an existing voter. Form-004: For Correction of details in EPIC. Poverty alleviation and improving the living standards of people have been the central theme of Economic planning. In recent years a number of Poverty Alleviation Programmes (PAP) have been launched. They are as follows. NRY: Nehru Rozgar Yojana – Urban counterpart of JRY – It has been in operation since October 11, 1989. PMIUPEP: Prime Ministers Integrated Urban Poverty Eradication Programme launched in November 1995. NSAP: National Social Assistance Programme implemented from 15th August 1995. SJSRY: Swarna Jayanthi Shahari RozgarYojana came into effect – Scheme from December 01, 1997. SJGSY: Swarna Jayanthi Gram Swarozgar Yojana – Scheme became fully operative from April 01, 1999. (It comprises of IRDP, DWCRA and TRYSEM). JGSY: Jawahar Gram Samridhi Yojana – launched on 23rd June 1999. PMGY: Pradan Mantri Gramodaya Yojana – Introduced in 2000-01 focussing village level development in five crucial areas like. Health, Primary Education, Safe drinking water, Housing, Rural roads. JPRGY: Jai Prakash Rozgr Guarantee Yojana – proposed in the Union budget of 2002-03 to provide employment guarantee to the unemployed youths of distressed districts. The Rajya Sabha (RS) or Council of States is the upper house of the Parliament of India. Rajya means “state” and Sabha means “assembly” in Sanskrit. Membership is limited to 250 members, 12 of whom are nominated by the President of India for their contributions to art, literature, science, and social services. The remainder of body is elected by the state and territorial legislatures. Members sit for six-year terms, with one third of the members retiring every two years. The Rajya Sabha (first constituted in 1952) is a continuing chamber, that is, it is a permanent body and not subject to dissolution. However, one-third of its members retire every second year. Their seats are filled up by fresh elections and presidential nominations at the beginning of every third year. The retiring members are eligible for re-election and re-nomination any number of times. The Constitution has not fixed the term of office of members of the Rajya Sabha and left it to the Parliament. Accordingly, the Parliament in the Representation of the People Act (1951) provided that the term of office of a member of the Rajya Sabha shall be six years. The act also empowered the president of India to curtail the term of members chosen in the decided by lottery as to who should retire. Further, the act also authorized the President to make provisions to govern the order of retirement of the members of the Rajya sabha. 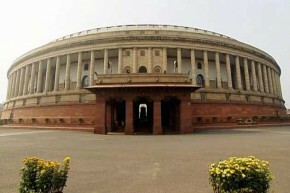 The Lok Sabha or House of the People is the lower house of the Parliament of India. Members of the Lok Sabha are elected by direct election under universal adult franchise. The Constitution limits the Lok Sabha to a maximum of 552 members, including not more than 20 members representing people from the Union Territories, and two appointed non-partisan members to represent the Anglo-Indian community (if the President feels that the community is not adequately represented). Unlike the Rajya Sabha, the Lok Sabha is not a continuing chamber. Its normal term is five years from the date of its first meeting after the general elections, after which it automatically dissolves. However, the President is authorized to dissolve the Lok sabha at any time even before the completion of five years and this cannot be challenged in a court of law. Further, the term of the Lok Sabha can be extended during the period of national emergency bee a law of Parliament for one year at a time for any length of time. However, this extension cannot continue beyond a period of six months after the emergency has ceased to operate.